Feld Entertainment® is seeking male and female action performers, martial artists, gymnasts, acrobats, trickers, and aerialists for the touring arena stunt spectacular, Marvel Universe LIVE!, featuring dozens of the famed Marvel Super Heros and Super Villains. Ideal candidates would possess stage combat experience in addition to training in one or more of the following disciplines: harness flying, martial arts, parkour, gymnastics, or motorcycle riding (freestyle, trials, motocross, and tricks are a plus). Stunt training and experience with high falls, fire burns, whips, and rappelling is a huge plus. We are also seeking performers who have training in martial arts weapons, stage combat weapons, and firearms. (See FAQ’s below for additional information on weapons and firearms training). Performers with a proficiency in stilt walking or spring / velocity stilts is highly sought after. Participants with aerial skills (silks, straps, wheel, etc.) should prepare a 1-2 minute solo aerial routine which you may be asked to perform. Aerialists will be required to participate in the full combat assessment prior to presenting their aerial routines. The audition facility will have a single point hook up available. We will not be able to accommodate multiple point equipment. Please provide all required gear. Contract lengths vary, and offer competitive pay, benefits, and domestic and international travel. Please bring to the audition a non-returnable headshot and resume. 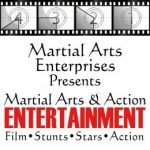 Demo reels or performance videos of stunts or tricks that are unable to be demonstrated at the audition should be sent to the email address below. All performers will be asked to learn a basic stage combat routine, and be assessed on basic stunt skills and ability to take direction and work with others. Some performers may be asked to demo their floor tumbling, tricking, or highest-level martial arts maneuvers following the stage combat routine. Candidates should be dressed in fitted athletic attire, in order to move freely and safely in during a stage combat routine, as well as allowing us to accurately assess your silhouette for our form fitting costumes. We kindly request that men arrive clean-shaven, and both men and women have their hair securely pulled back away from their faces. For additional information, or to submit video footage of skills which are unable to be demonstrated in an audition setting, please contact us at marvelcasting@feldinc.com. Do I need to attend an audition in order to be cast in the show? Our audition process is very specific to the intricate and unique nature of our show. It is imperative that all interested performers attend a live audition so that we can adequately assess them on the show’s very specific needs. We also use our audition process as a way of getting to know the candidates on a personal level, so we would love to meet you in person. 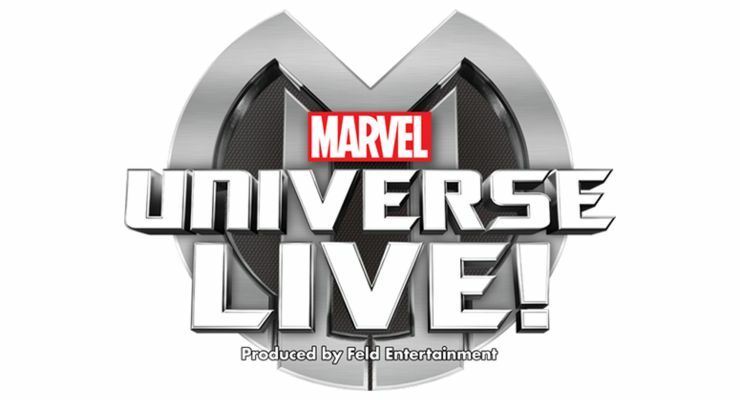 All of the performers in Marvel Universe LIVE are part of a hard working, cohesive team, and at the audition, we look to see how you would fit into our team and family atmosphere. If I can’t make it to an audition, can I send in a video? We prefer to have the opportunity to meet all interested performers in person at one of our live auditions around the world. We love to see video of your exceptional skills and tricks that are unable to be showcased in the audition setting, however, we only use video submissions as a means to supplement the material that we captured at a live audition in which you attended. The vast majority of the audition process will consist of learning stage combat choreography from the show, which we will teach you on site. Following that portion of the audition, we may ask some performers to do a freestyle demonstration of some of their tricks or skills that were not showcased in the stage combat portion, however, having something prepared for this is not a requirement. What types of weapons training are you looking for? Firearm experience is a plus. How much do performers on the show get paid? All of our performers receive a competitive weekly salary, which includes health benefits and travel. Additional details are discussed in the contracting process. We kindly request that all performers come dressed in fitted athletic attire. All of our costumes in the show feature performers wearing form-fitted unitards, body harnesses, and stunt gear. So, it is important that we are able to accurately assess your silhouette for these roles. It is also very important that ladies and gentlemen with long hair have their hair pulled back away from their face, and for everyone’s safety, please remove all jewelry and piercings. We also kindly request that performers do not wear hats or accessories that may distract or hinder your performance. In most audition venues, it is also required that performers are in bare feet or socks while working on the mats. Can I still attend the audition if I don’t have a headshot or resume? Absolutely! Our comprehensive registration process will include us taking your photograph, as well as capturing your contact information, measuring your height, and entering some brief performance history. Please be sure to arrive during the registration hour to leave time to complete these steps.